Choreographers, dancers: welcome again to your CHALLANGE! 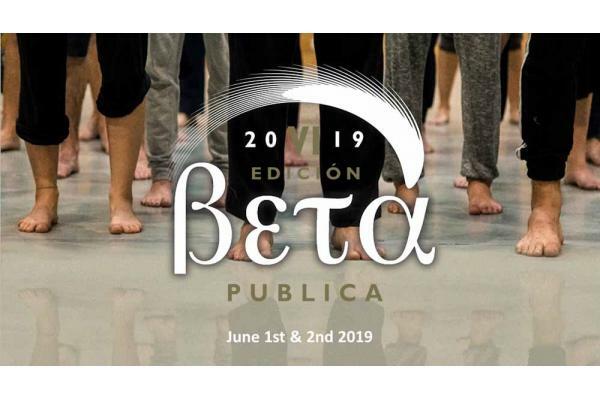 Public Beta starts one more year in Talents United to select up to 6 choreographic projects that will be part of our VI Edition of the Beta Publica Showcase next June. The deadline for receiving proposals, 10 to 15 minutes in length, ends on April 12th, 2019. The proposals to participate have to be done here in Talents United, the biggest artist platform in Spain. The projects selected will participate in the Beta Publica Showcase the upcoming 1st and 2nd of June 2019 at the Paco Rabal Cultural Center of the Madrid Autonomous Community. Thanks to the collaboration of the Paco Rabal Cultural Center and the Madrid Autonomous Community Government, the creators selected will receive a small amount of money and travel aidsfor their participation in the Beta Publica Showcase, along with a video of their work. Also one of the choreographers could be selected to be part of the next “Una Mañana en Danza” edition. A video of the piece, at least2 minutes in length. A brief synopsis of the piece that includes its duration. The curriculum of the creator with a maximum extension of one page. The selected artists will receive an stipend, estimated in €250 per creator, for his/her involvement in the Choreographic showcases to be held June 1st and 2nd 2019, plus a video that the creators can use to promote their piece.